Can You Get A Carfax Report For Free? If you found this post because you are trying to figure out how to get a free carfax report, you may, or may not be in luck. 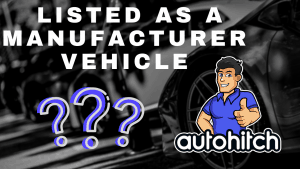 What I can promise you is that if you leave Autohitch the Vin Number (Vehicle Identification Number) on any vehicle you are looking to buy, I will gladly tell you where your vehicle has been and what it has seen in its lifetime. This is only based on what has been reported to the major bureaus that companies like Carfax and Autocheck use to provide you information, so as with any vehicle I would highly recommend getting a Pre-Sale Vehicle Inspection before ever departing with your money. 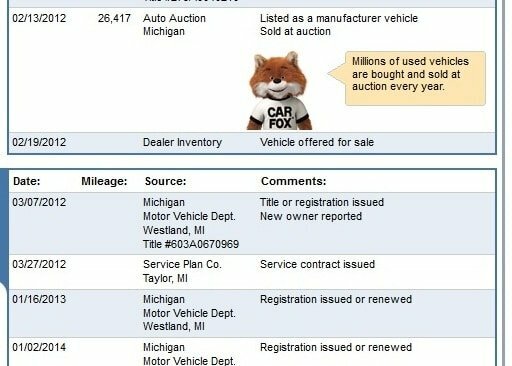 Are you looking up Carfax Reports because you are getting ready to buy, sell, or trade in a used car? Would you like to know what dealers are buying and selling your car for, today? 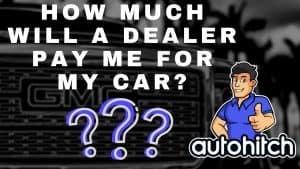 Autohitch Vehicle History Report "Offer"
The first way you can run a free vehicle history report using Carfax is to continue reading. Below, I will share with you an offer I am running exclusively during the Autohitch “Pre-Launch” period as a thank you for finding our website, clicking the link, and spending your valuable time with us by reading or viewing our content. Speaking of your valuable time, let’s get to it, shall we? It amazes me sometimes the amount of information that is out there about buying and selling used cars and that there is still so much people leave out. Is it intentionally done to protect car dealers? I’ll let you decide, but this trick with Carfax reports is a big one! A little scam some used car dealers like to pull (Maybe we can just call it a trick) is to run a vehicle history report with Carfax or Autocheck BEFORE they purchase the car at the auction. They do this because they know people don’t like seeing that a car came from the auction and if they can pull a report before the actual sale, there will be no notation of, “Vehicle Sold At auction”, on the report. Why do they do this? Well, think about it: A car purchased from the auction is likely being sold by another dealer, which means: That dealer couldn’t or wouldn’t (For whatever reason) sell that car. If the car was valuable or desirable, why would any dealer dump it at the auction? All this being said, don’t get me wrong- There can be cars purchased from the dealer auctions that are just fine. Some of these cars may be sold by banks/lenders after repossession, or big franchised dealerships selling a car from another brand with some small defect that they just can’t retail out of liability concerns. Generally however, the rule of Thumb is going to be that a car sold at auction is a car another dealer couldn’t sell. If you do run into a dealership that has given you a new report with this change, please don’t buy the car from there. This isn’t a point system, or a game where you are rewarded for “Beating” the dealer. There are likely going to be more problems and you will be better off finding a more reputable store to buy a car from. Timing is going to play another role in your Carfax Reports, especially if you intend on having the Carfax Buyback Guarantee on your side. I dare someone to actually find me a car buyer that used this guarantee successfully, but that’s another topic! When it comes to the date of the report, you should again ensure that you get a freshly pulled Vehicle History (Carfax) report at or just before you buy a car, because if you don’t, you will fall outside of the Carfax Buyback Guarantee. Why? 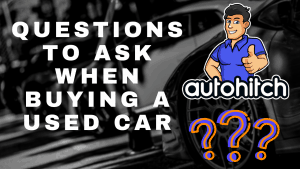 Because Carfax states in their Buyback Terms And Conditions that if a Carfax report was pulled more than 30 days before the date of purchase, you are not going to be covered. This is an easy one- Ask the (a) dealership to, “Show me the Carfax” is so mainstream that there isn’t a dealership in business that thinks they can sell cars without ever providing some sort of documented vehicle history. Because of this, dealers are typically signed up to get multiple reports and pulling hundreds a month is a flash in the pan. Is A Carfax Report Worth It? Yes! Carfax and the newest member of the game Autocheck provide vehicle history reports that are absolutely essential to any used car purchase. Yes, this even applies to a certified pre-owned vehicle, not so much because it’s a major concern, but because the dealers that sell certified vehicles can pump out vehicle history reports at relatively no cost so, why not?! To get the full value of any Carfax Report, whether it be a free report or not, you must first know what to look for inside of it. 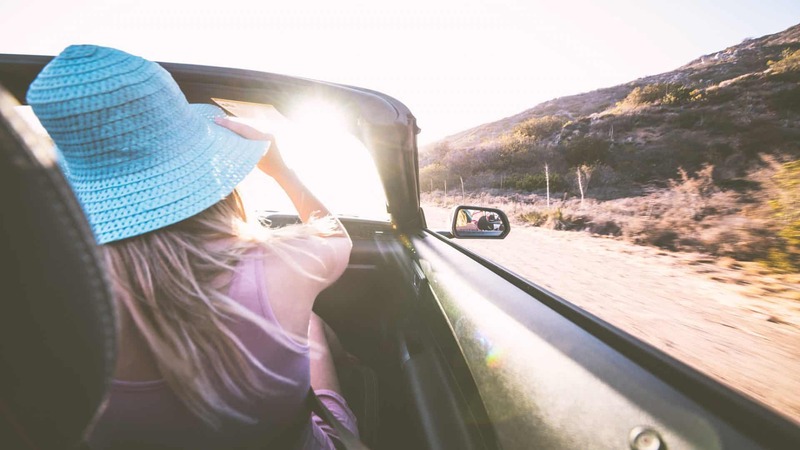 So check out our post on How To Read A Carfax where we cover 9 categories that could mean the difference between you buying a Lemon or a quality Used Car. Sadly I have noticed what feels like an uptick in the sale of these vehicles, and not simply because they are in high demand, but because buyers are being deceived. 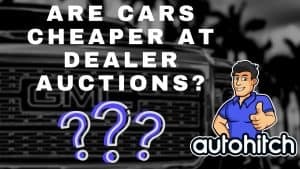 If you would like a more in depth review of vehicles that have been salvaged, check our post, “Salvage And Rebuilt Title Cars | Buyer Beware or Great Deal?”. How To Get A Free Carfax Report Without Paying? If you really want to get a free Carfax Report without paying– Ask the dealership. “Show me the Carfax” is so mainstream that there isn’t a dealership in business that thinks they can sell cars without ever providing some sort of documented vehicle history. Because of this, dealers are typically signed up to get multiple reports and pulling hundreds a month is a flash in the pan. 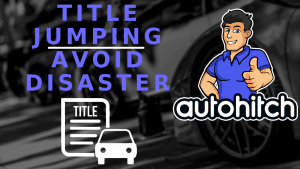 Third party listing sites– Many have now begun to include the dealers provided reports, or as in the case of Car Gurus, a high-level summary that can tell you enough about the vehicle to know if you should move on or move forward. VehicleHistory.com and ISEECARS.com – Not really a full history report, but they will tell you if there are any accident records or open recalls. In addition, they will give you some added information Carfax will not like: Price history, projected depreciation, the best time to buy, and other potentially important factors for car buyers. National Insurance Crime Bureau– The NICB’s Vin Check is a free service to help you identify if a car has been stolen or reported as salvage by an insurance company. Again, this isn’t the end all be all, but it is free and worth a 2-minute check, especially if you are shopping at a smaller dealership or private seller. You may have seen this little free carfax reports hack going around on sites like Reddit, Quora, or even private blogs. I checked out the first two I came across and they certainly were not giving out a Free Carfax Report. It’s likely that people found something one day that they posted and just carelessly never removed the post. Save your time and use other methods or just pay for the real deal. Yes, there are alternatives to the higher priced Carfax and even Autocheck reports, and one such service that I have tested is VinAudit. I compared it to a Carfax for the same vehicle and found no substantial difference in the information I needed to see. That being said, I have seen others with completely different results, so I’m sure this is on a case by case basis because VinAudit simply lacks the partnerships Carfax does to secure more information. Why is it cheaper you might ask? The name. They pull from most of the same sources with the biggest difference being that a Carfax will probably have more partnerships with dealers and shops to receive service records. But, in many cases, dealerships don’t even report their service to Carfax so again, what is that information really worth, 39.99? Which Vehicle History Report Is Best? From my experience, it’s about Carfax VS Autocheck, and that’s really because given the significance of the reason why you are pulling the report you want to stick with the most reputable names with the most resources. 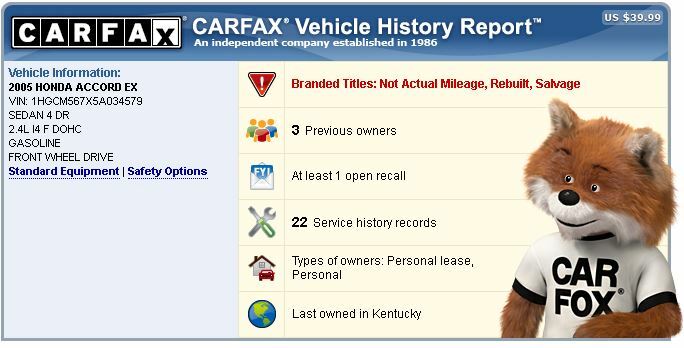 I would still give the edge to Carfax if for the only reason that they still have more partnerships out there to gather the most information possible. That being said, absolutely nothing wrong with Autocheck! To claim your free report, please submit (In the comment section below), your Vin Number. You will not be spammed or called as we are not selling you anything, just helping. Please Take Note: We are now asking for a quick share of our article here so that we ca help even more car buyers. Any channel you choose is just fine by us! Just let us know where you shared the post when you comment! I’m looking at a 2015 F150 XLT FX4 that had been a Canadian vehicle, VIN ———————. I understand there can be some issues with these particular trucks from Canada and this one has been for sale for more than a month at $27K. Prior to having it checked out, just trying to gather information to see if it’s even worth pursuing. Also, I have really enjoyed reading your website and the concept behind your business. Best of luck! Thank you very much for the compliments, Mike! I have a lot of knowledge in my head and I’m still working on getting it into the posts so it’s easier to navigate. There truly is a much more positive way to drive away with a great deal on a car without the entire process being a battle, and if we can address that either with our process or just by sharing knowledge, that’s mission accomplished! No Accidents (Reported)- Again, remember: Reported can differ from reality. 4 owners- Right away I see the vehicle changing hands 4 times. This would be OK for a car 10 years old, but at 3-4 years old, it’s a flag. There isn’t much detail to say if these were auctions, private sales, or even repossessions so until you have confirmation of good news, assume the worst. There also may be a discrepancy with one of the ownership changes as it may have been an error in reporting when the owner moved and got new documentation, but I could be wrong. 66% percent chance there is something undesirable about the car when you get right down to it. Service- You do have some service records but they are nothing to tilt us one way or the other. Bottom line: You are still not crazy to pursue the truck, but you would be without a thorough inspection. I have an article coming soon about these but real quick… Look for an independent inspector in your area. Google “Vehicle inspection service”. You are looking for the guys that used to be dealers or mechanics but they now do “Pre-Purchase Inspections”, and that’s what you will ask for. These guys are pretty reputable and have inspectors nationwide- Lemon Squad. If not them, there will be individuals nearby, there always are. Price range will be about $150-$200 for your situation. I would go less on a car that seemed like it was ok, but in this case you have to dig deeper. Many thanks, that was very helpful! No problem Mike, Glad to help. If you get a sec, please share the page on your Facebook or whichever social media channel you have. It will allow more people to find Autohitch, and that means more people for me to meet and help out. Thanks again, and come back if you need anything else. Love the article. Good read. Would you be able to give me the vehicle history of this VIN? ——————– Planning on seeing it soon in person, but wanted to do research before I make a drive out there. My name is Steve, by the way, Mike was another reader. My biggest concern for you with this car would be its lifespan in the very northern state of Maine. This vehicle has seen serious Winter weather and 18 years of it at that. It is possible it was taken care of during that time, but I would most definitely have a really good look underneath and in the motor compartment for rust or corrosion. I hope I was able to be of assistance! -After reading the information below could you leave us a review on Google using the link here? It will help Google show us to more car buyers which will allow us to help even more people like yourself. Thanks!!! Google Review. – I checked the history and you are looking at a no damage/no accidents “Reported”. This is from a Carfax report! – Just because no damage was reported to Carfax doesn’t mean it didn’t happen. For this vehicle, I would highly advise you contact an independent inspection service and order up a $100-$150 pre-sale inspection. They are going to have a meter that will tell them if any panels were painted which indicates damages or repairs as well as looking at the nuts and bolts where panels are put on. One tip is to see if any bolts have rust or paint removed- This means they were taken off after leaving the factory or in layman’s terms= A repair was made. – Next point to take note of is that the ownership is being listed as a Rental and a Personally owned vehicle. It was a rental for 1 year and personally owned for 4 months. I would say that qualifies as something that would raise a flag for sure because it’s changed hands twice in a short period of time= “Why didn’t they want it?”… It’s possible the rental company let it go for legitimate reasons but then why did the persona owner not keep it longer than 4 *months? These are just questions you need to ask. – There is also a lien on the vehicle that was reported as recently as July, so ensure that it is paid off before you take possession and part with any money. The lien holder has all the rights here so you will take a back seat when it comes to people losing money if something isn’t right with the deal. 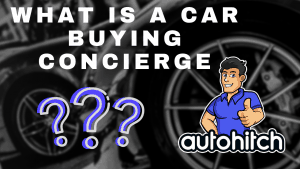 **, In conclusion, there may be absolutely nothing wrong with the vehicle or the deal, I am simply advising you on what to look for so that you can be confident about the purchase. Looking to purchase local 99 Jeep Grand Cherokee limited. Owner claims nothing wrong but too big for daughter….vin#—————–. Thx! Read your complete post. From what I see, this vehicle has no record of any accidents or damage, which again, is not a guarantee that there were not any, it simply means none were reported to the major vehicle history bureaus. Not that many service records, but that doesn’t mean it hasn’t been cared for. 5 owners, but for this age vehicle that is not an issue. Overall, and I’m sorry to say this because you don’t want your daughter to have it, but the vehicle’s history is Good! –As for the Vehicle you have a no accident/no damage vehicle with one owner. Only one service record so it’s “Possible” that the vehicle was lightly used because a new vette would have recieved free servicing the first few years if the owner was driving it. –Also the price: Price looks fair. I see this selling at the auctions with a min of 10k miles and that’s wholesale at 29k. So with 2k miles at 33, if you can get it, that’s very fair if even damn good. We are looking at ——————-. We have no idea about service records, owners. Saw a report that it came from Connecticut and that there were no reported accident, theft or liens and a list of recalls. Thank you for any info you can provide and for your website. As for your 2008 Honda Fit- I see no accidents and no damage reported with a verified one owner record. Remember, this doesn’t mean the vehicle IS clean, it just means nothing was reported, so you should always look closely and if you are unsure find a vehicle inspector to confirm. Also, only one service record. This isn’t a red flag by any means because dealerships don’t have to report a thing to Carfax or Autocheck and often don’t. If you are really worried you can call over to the dealership that performed the one service (Curtiss-Ryan-Honda in Shelton CT. Tell them you are thinking about purchasing this vehicle and would like to know if they had any service records. They may provide them or they may not, but they should at least be able to tell you if there are any and if they require the owner to release that information you can ask the owner to do so. –The vehicle history looks pretty solid. No accidents or damage reported with 2 owners. 16 service records that indicate the last service was done at Autonation Honda in August of this year. It simply says serviced and does not provide specifics. ——————– Owner says they are the 3rd or 4th owner and it has 149k for miles with re-built transmission and new clutch. on 8-23 it then passed another inspection. Remember!! Vehicle history reports only show what was reported to them. If this vehicle was damaged and fixed out of pocket, the only way to know would be through an honest owner or a vehicle inspection that’s about $100-$150. Relatively cheap for being sure of what you are getting. Hi, I’m trying to buy a car for the first time (my mother picked out my last one and tasked me with picking out my new one!) and found this 2013 Ford C-Max SEL for a decent price. The VIN is ——————. We’re trying to figure out if it is worth driving 2.5 hours to get or to get the one that is closer, has 30k less miles, and is extremely good condition, but is $5-6k more. Thanks! I see a pretty solid looking history on that vehicle: No accidents, no Damage, and only one owner. 8 service records as well and it was a personal use vehicle, so no car rentals or commercial use. What are they charging you? I will just tell you, from what I see for car prices at the auctions, the suggested retail could be around 12k if the miles are still at 68k. Wholesale, the dealer could have bought this car for anywhere from 8500-9000, but that’s only if they got it from a dealer auction. If they took it from a trade they could have paid more or less (Probably less). *Please remember this is assuming a very good condition. If there are any issues this changes. I would say to try and get this car for 11,000-11,500 if you can. Cars with fewer miles are selling there on the upper end. I am curious to know what this car sold for at auction. It was at a major dealership before the smaller dealership I bought it from today. I found a link on Quora where you said you often can find that kind of info. I’m curious not only because I bought it but also because the operation was very small/family owned. They were great people and I’m interested to know what kind of margins they’re able to make. Thanks in advance. How long ago was this? It’s easier when it’s very recent, once I have to start digging it’s more difficult to match up the transactions. Additionally, there are many different types of auctions around and they do not all feed into the same system. Will also need color and mileage when you write back. Mileage at the time they bought it. So happy to have found this site. I am trying to help a friend who already purchased a vehicle but they didnt realize until after that the dealer gave them an autocheck report that says 1 accident, but the dealer didnt even point it out. Could yall please look into this for me? Its a 2013 Kia Sorento. The VIN is ———————–. I really appreciate it and will definitely leave a review for you. I do see an accident on 4-14-2014. That’s long enough back it should have been on the report at the time it was sold. Probably won’t be able to prove it, however. Could you tell me by any chance what that accident was? I saw the report had the date and the accident on it, but no information regarding what the accident was. It does say moderate though which makes me think more than a slight fender bender. Thanks again. I am happy to have found this site. I have found a good car and trying to find out the history. The VIN is 1N4AZ0CP8FC329691. Any help would be greatly appreciated. I only show two service records between 2015 and this year. one at 7k miles and another at 16,500. This could be because they took it elsewhere that doesn’t report services or it could be because that vehicle doesn’t require service that frequently. I’m not a Nissan Leaf expert so I can’t say for sure but at least you know. These warranties are based on the last recorded mileage of 16500 in Feb of this year. i left a post but it did not show up in the comment section so i am trying to leave my info this way . sorry if i am doing it wrong . need info on vin # ——————– thanks a lot . I actually replied to your email directly, and yes, the posts do not automatically show up because they must be approved to keep out the spam. – The vehicle has a good amount of service records which is nice to see, not so much because we wouldn’t believe a new car never to have been serviced, but its a great confirmation. The most recent service was on 11/07/17 and the vehicle is listed as being sold at auction on Sept 10, 2018. The difference in miles is about 11k, so there is a chance the vehicle was driven that long without an oil change, or they could have simply elected to have it serviced outside of a reporting dealership. It’s something to look at, but not really a red flag. -The fact that it was sold at auction without any surrounding information about being a trade in or exchanging ownership is “Unusual”. Typically you will see it marked as dealer inventory or at least have the title/registration renewed, but I do not see that here. Because individuals don’t go to sell at dealer auctions the only possibility that makes sense to me here is that a small dealership took the car in by signing the title but never actually processed the transfer with the DMV. This, of course, is speculation and again, not necessarily a “Red Flag”, but I would consider it yellow and something to at least inquire about. The reason being that cars dealers take to the auction are cars they can’t sell: Bottom line! This could be because it was a big dealership that has rules against selling cars with manufacturer defects unrepaired, or it could be because no one was buying it. If it’s because no one was buying it then the responsible thing to do is to ask why…? Again, the vehicle could be fine, along with its transfer of ownership. 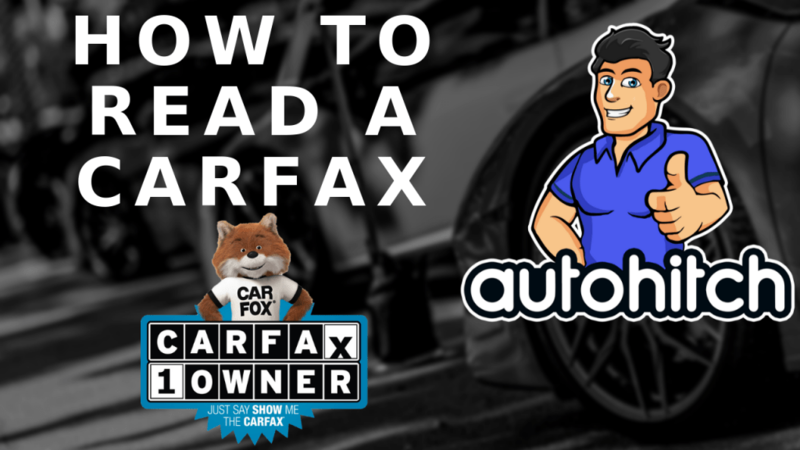 Carfax isn’t written in stone information, it’s just a guide, but it’s a guide we use to ask certain additional questions so that essentially is what I am doing here. If you like the answers you get, then you have done what you can. Of course, the only surefire way to know for sure is to order an independent pre-sale inspection. It’s $150 well spent! – I hope I was able to help Erin! -Does not have to be lengthy, just a quick mention about helping you in your car buying journey is all. This helps us reach and help more people, Thank you! This is simply a Google review so it is not an attempt to get your information, that is not what we are here for, but your review will help us reach more car buyers going forward and is very much appreciated! Hello, I am looking to get the car with VIN: ——————– Could you please look it up for me I would very much appreciate it. I left you a google review. Good Evening Alan, did you say you left a review? We checked and see absolutely no activity tonight on our reviews. The vehicle was marked as a Total Loss in June of this year. Damage appears to be related to a hit toward the front of the car so you are not only looking at serious body repair but also damages to key components in and around the motor. Not sure if you need anything more than that as the Total Loss pretty much sums it up. That’s all I needed to know thank you! I knew the guy was suspicious. I appreciate the help! Looking for vehicle accident history and a previous number of owners. Or any other red flags. Vin is —————–. We started by asking people to simply exchange time for reviewing us on Google for their vehicle history reports and found that if we provided the information up front, no one took the time to help us in return. All these reviews do is help us reach more people seeking information. Hello Could You Please following Details For VIN: ——————, many many thanks in advance for the help. Kiran, we did not hear back from you. Were you able to pull a report? We simply ask for a quick Google Review for our company so that we can reach more people online seeking the same type of information. We hate asking for this upfront but we found that no one would ever leave a reply after we supplied a vehicle history. SAD BUT TRUE! I have already pulled the report and have your answer, and will submit it as soon as we see a review submitted. Anya, did you find everything you were looking for? You may have seen is previous comments that we are now asking for a quick Google review of the business as part of the report. We tried providing the information expecting it to be a fair request but of course, people let us down. So, we now have to ask upfront. Once we see the review I will have everything up for you! Jeff, did you no longer wish to have us pull the information? Thank you for your kind words and review Greg! From what I am able to see there are no accidents “Reported” and only one owner. A passenger airbag was replaced but upon further review, it appears that was in regards to a recall that was being fixed, not an accident or damage. From the dealers’ ad, it looks as if they are suggesting the vehicle is 85k miles? Looking at the places that have reported mileage across the life of the car you can clearly see that doesn’t hold up. I have seen odometer issues that were mistakes before and this doesn’t appear to be one (Opinion). One instance I can remember was when an auction input a number incorrectly. It caused an odometer red flag in vehicle checks that we had to get cleared up. ** Also, the vehicles last safety/emissions inspection was a fail. Odd for a Honda to fail emissions, don’t you think? If there is an issue with the odometer that could cause a faulty reading than the dealer can’t sell you the car stating a certain mileage. If they are, they are being dishonest and you really should consider if moving forward with them on anything is a good idea. Bottom line: am doing a bit of speculation here but it’s more like intelligence guided by experience. I’ve seen the flags before and these are flags. Big Red Flags? Maybe light red, but enough that my advice would be to stay away. If not, you absolutely must get an inspection performed. It is being sold buy a guy that owns a repair shop of some kind. He has told me that there was minor front, right damage to the fender, bumper, light. He also stated the driver side airbag had deployed in which was the only thing he did not repair or replace. I asked if he had any pictures of the damage before it was repaired and he stated that he did not. The vehicle has just under 20000 miles, he is asking just under $25,000. Any info would be greatly appreciated. Thanking you in advance for your services. Excellent job on the review Sir, and thank you! I was able to see an accident back in 2013 for the Ford Escape. Unfortunately, it doesn’t give any details at all. No severity, nothing about where the damage was, literally just that an accident was reported. Usually that means it was light damage. Typically when airbags deploy or the vehicle was towed they go out of their way to point that out. I would also be able to see airbags being replaced at the dealership unless of course, they pulled them from a Junk Yard. But if the damage was that severe insurance usually gets involved and they report everything they do. The last service I see was in 2016. It doesn’t mean that was the last service by any means, it could simply be the last shop that reports service working on the car, but I thought you would like to know. Hello I’m in market to purchase a reliable Daily driver..out side of my not so reliable Jeep Wrangler which I love. I am single lady so Terrified of the thought of breaking down. Im interested in knowing previous owner of this Mini Cooper. The seller states its a one owner. The mileage almost seems to good to be true. 2013 at 32k. Im just trying to avoid buying into a money pit..considering I’m already currently in one with my Jeep (even though it’s paid for). I sincerely appreciate any info you can offer me. Thanks do much in Advance. First: If you found this information helpful, we would very much appreciate you sharing that experience with others by leaving a Google Review. I will email you the link or you can find it in comments above. Thank you! The Vehicle does show two owners but this is because the dealership purchased it at auction and they are counted as an owner. Now: I do see that a dealership listed it for sale BEFORE putting it in the auction, which is what I don’t like seeing. The bottom line- One dealer had that car and couldn’t sell it… WHY? If it’s low miles and one true personal owner, why couldn’t a dealership sell it? Why did they have to flip it wholesale? As for the mileage, I wouldn’t worry because it was sold between dealer and auction and both those parties are pretty good about scrutinizing that type of stuff. I also don’t see any accidents, but that does not mean there were not any. YOU SHOULD ORDER AN INDEPENDENT INSPECTION FORT THIS VEHICLE. Thank you so much for this valuable info. Review will be posted for your wonderful help. Hi 🙂 I would like to know what info you can find on my car – —————- When I bought it I didn’t see or receive a Carfax report when I should have. I’ve wondered if there might have been a reason I got a good deal, like a prior accident. Yes, it appears you may have received a great deal due to an accident. Actually, I see two accidents and one was listed as “Major”. The damage was reported to be on the right rear side of the vehicle and the claim was apparently $5600 Canadian. There was another accident in 2014 that was 2k in damage. It has a low miles for this age, but if it has not been maintained well, I might have to start with spending a lot on service. Thanks, I have already done that before posting, just did not comment the rating. Outside of that there are some service records but not a ton. 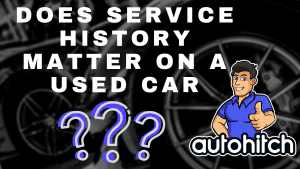 Of course, not all places report to the history bureaus, so judging a car by service history records on these reports can be an inaccurate way of looking at the quality of a used car. If the miles are around 100k as I see, that means the car wasn’t driven hard which is obviously good. I also only see 2 owners and no damage or accidents reported. Again, I only see what is reported, so if damage ever occurred that an owner fixes out of pocket it would have to be caught upon inspection. I’m currently looking at a 2007 Chevrolet Malibu. The owner of the car claims he is a mechanic and there is only several small issues on the car and he will fix them before handing it to me. He charged me 2k+ for this used car, a decent price, but what worries me is that parts of this car have recall records. Will this affect the price if I plan to sell it in the future? Besides, I can’t see how many pre owners this car has and how many miles it has ran over. I’ll be appreciated for your help. I once owned this year/model and I’m curious if the one I found for sale is the very one I owned. I have spent money on reports but the reports don’t go back far enough. The dealer is asking $57,000 … I paid $13,500 (23 years ago, however) … Just so curious if this is MY car … and what it is really worth? curious about vin: ————– – the owner seems a bit suspicous on selling details. Hi my name is Jason i have a 2018 Chevy truck that i got New here is the vin —————- but im starting to thank that it may have had another owner befor me so i would thank it would have been sold to be as used can you please let me know what you find. Thanks! I am trying to find any information regarding my 2007 Magnum’s days as a police car. The vin is 2D8GV47287H759677. I’ll be doing a review for y’all as soon as I’m done here. I have spoke to the previous owners of the vehicle since it was decommissioned and sold at auction but there is zero information on where it was a police car or any service records that we know of. Any of this information would be great! Hello, this was very informational site. I am looking at a 2009 Nissan Quest VIN 5N1BV28U09N102777. I checked it on vehiclehistory.com and it seems ok, but there was a lot missing. I want to make sure there has been no odometer tampering, major accidents, totaled etc, floods etc. I am hoping you can help. I need a reliable family car at a good price, this I am hoping is a car that will work for our family. Really needing accurate information on VIN 5N1BV28U09N102777. Any floods, accidents especially odometer changes. Anything that could cause us issues in the future. I have definitely left a google review. Great article! I learned a lot! Can you tell me about this car xxxxxxxxxxxxxxxxxxxxx. Thanks for finding the article and I’m glad it was informative! If you get a sec, please looks us up on Google and leave a review on our Google Profile- It helps us reach more people when they are looking for advice, and then we get to help more people. As for your Nissan, I was able to see that there are no reported accidents or damage. Remember: That only means nothing was reported, not that it never happened. If you backed into a tree in front of your house and paid out of pocket to fix it, that information would never show up! Check around the car and look at the seems, or where the panels line up. You are looking to see if those gaps are even all the way through or if the panels are closer in one area than the other. Also, open the hood and doors and look at the bolts that hold everything together (Other than motor parts). Specifically look at the painted bolts. When you see painted bolts with the paint removed or scratched up like someone took them off, that’s a sign of structural repairs. As for service records, there isn’t really anything out there, but that’s not really rare, most mechanics and service centers don’t take the time to send information in, and they are not required to do so. Should be a 2015 Jeep Wrangler Sport Unlimited, while trying to break down what each letter and number means for U-Haul and a trip across the country, I’m unable to find consistent information. Basically I’m interested in any insight you can give. Thank you so very much for your time and effort. Thank you for finding our article and relying on us for some important information. 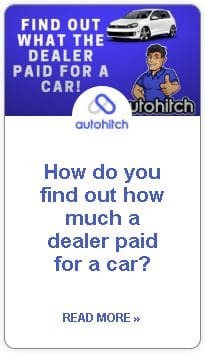 Before I get into what I found, if you get a second, please Google “Autohitch” and leave us a review on our Google Listing (Which usually appears to the right on search results). 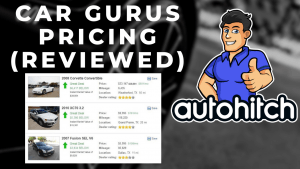 These reviews really help us inside of Google to find and help more car shoppers. I don’t see any accidents or damage reported, but remember: This doesn’t mean none ever happened. If someone hits a road sign or a tree and fixes the damage out of pocket, no one might ever know without an actual pre-sale vehicle inspection. 4 owners appear, but for a vehicle this old that number isn’t uncommon so, I wouldn’t worry about that. There was an airbag assembly replaced in 2015. This could be from the repair of a factory defect, or it could be from an accident that wasn’t reported as I mentioned above. I would look under the hood at the bolts that connect the bumper and quarter panel to the frame. These types of bolts are usually painted at the factory, so if you see paint removed or scratched off on these bolts, there were probably repairs from body damage. Hello I am still searching for my Red Mini Cooper S Convertible, preferably 3rd Generation, BMW Mfg. I’m looking at this mini Cooper. If you can offer me any additional info I would be greatly appreciative. Hey Fran, the history I see on the vehicle shows a lot of solid information. one owner, no damage, and no accidents “Reported”. The last information to show up is that the vehicle is offered for sale at a dealership with nothing about an auction in front of it. So, probably a good bet that the vehicle was taken in on trade or bought by the dealership directly from an owner (This is usually a better type of used car). Not guaranteed that is what happened, just likely. I’d like to know any info on a 1985 Mercury Capri Vin 1MHBP79M6FF610642 . Any help into its detailed past history would be great! Hi there, I just published a positive review. Can you please provide me any issues or problems (accidents, etc) on this VIN? ——————-. Hey awesome article really appreciate the info. I left a google review as well. re VIN xxxxxxxxxxxx looking for some details re reported ‘rebuilt’ 05/23/07 and cause for such report. Thanks for this really informative article. This is of great help to first-time used car buyers, as I have already mentioned in my Google review. I am looking at a 2014 Ford Focus (VIN: xxxxxxxxxxxxxxxxxxx). I checked the Carfax used vehicle value as well as Autocheck score, which seemed to be pretty good. However, one of the free sources suggested “Damage Type: Junk and Salvage” although the owner claims it has a clean title. could you please help with the Carfax report here? Can you give me some info..much appreciated. I’ll be happy to write you a sparkling Google review if you can help me find a history on this well-used 2004 Dodge Truck I’m buying. It has 160,000+ miles on it, and I’m trying to find out its service history. What’s been done to it and when? The VIN is xxxxxxxxxxxxxxxxxxxx. Allen, when it comes to the history of the vehicle there was only one report of damage and that was back when it was sold in the late 90’s. If you read this article then you would know that type of thing really isn’t that common because the major vehicle history companies only know the information that is given to them. Outside of that damage, there is really nothing else showing up related to your vin. Now when it comes to what you should do, I would be misleading you by telling you what you should do because you have to be that judge. If the vehicle were sitting in front of me, or if you had it inspected by an actual vehicle inspector, then I could start to offer you some advice. The problem I have is that I can’t recommend or not recommend the car because I don’t know it’s true condition. That being said, if the car does have life left in it, and your current situation leans you towards something cheaper, go for it. A lot of people I know could buy brand new cars every 3 years but don’t because they don’t like owing anyone money. If you can afford an inspection, get one, that way you will know “Exactly” what you are making a big decision on, and it is a big decision, is it not? Looking at this car but the pricing seems to good to be true with the miles at 100,000 and change?? What do you think you can find on this. I think mught be a skeleton in that closet????? Firstly this is a great job to helping folks, please would mind to check this vin no. Hi again! Thanks for the helpful post. I am looking at these 2 cars- Could you please help with the Carfax history report? Appreciate the detailed guidance for used car buyers, as I have already mentioned in my Google Review as well as social media sharing. I am looking to buy this vehicle (VIN# xxxxxxxxx) from a friend who says he is the first owner, but I came to know from another common friend that there might be a damage/minor accident on this. I have checked some of the free vehicle history sources, but was not able to find details on accident/damage. I would appreciate if you could help here with the full car history report. I am looking for an inexpensive and reliable car and have been considering purchasing this Ford Fusion: ——————- Could you tell me if there’s anything to watch out for? Accidents, major mechanical work, salvage title? Many thanks! Was wondering if you guys would be so kind as to check this Vin for me? ——————–. Thank you very much in advance, you guys are awesome. We just want to know if there is any salvage or similar issues we should be concerned about. I’m looking at a 2012 Acura TSX. Are there any accident reports on it? Hi! I am looking at VIN #————— $7950.00 with 109,000 miles. Seller disclosed that it was in a minor collision with a deer and that he replaced the front bumper cover, right fender and right headlight. No airbags deployed and supposedly the car did not even come out of alignment. Seller claims to have used all oem parts. Any info you can provide or other words of wisdom would be appreciated. This is very helpful and I have already shared my Google review, knowing that you will be helping me out. I am looking to buy a car with VIN# ———— from a private party. Could you please let me know if there is any accident or damage or anything that I should be concerned of? The owner initially said that there are some minor issues that had come up in the vehicle history report which he has pulled, but now on asking to share it, he is saying that he hadn’t pulled any report, which makes me suspicious. Could you please share carfax history report and suggest on what all I should be checking? I just purchased the vehicle today. Apparently, I paid ~$1,600 less than it’s worth? The vehicle’s odometer says it’s about 105,000 miles, however July of 2018 autocheck says the odometer read 127,704. Did this person falsify this somehow? Thanks, bud, I love what you’re doing. Hi. Thanks for this article. Very informative. Could you give me any information of concern for —————– ? Thanks. Leaving Google review now. Something stands out to me here and that is that the last record at 127k miles only reflects that the vehicle was sold at auction. There is nothing about ownership transfers before or after that or anything about a dealer listing it for sale. Did you purchase from a dealer? The other thing is that you can have instances where a number here or there is misreported, we’re all human, right? But in this case, you have service records from places like Nissan, Pep Boys, etc after the vehicle hit 107k miles. So, is it possible that many places and the California inspection service messed up the mileage? Something is definitely wrong there, and after you answer my first question you should probably get the California DMV on the phone and report this. If not, the rollback is a felony, and the blame could be placed on you in the future. Be advised: This shouldn’t affect that status of your title as “Clean” because any vehicle over 10 years old is exempt from mileage, meaning the states no longer consider what the car reads as “Written in stone”. That being said, they don’t take likely to people making it up either because that crosses the line from potential faulty equipment to fraud. Hi! Your video was totally useful, especially the part where you said you ‘rambled’. Don’t worry about that, it was quality stuff. I took your advice and looked up this private party Mazda Miata ————— on iSeeCars and it has been previously sold by OffLeaseOnly, which as you probably know is a dealer with a debatable reputation. Cargurus does say the car has been in an accident, and it has just under 36,000 miles, right before the warranty expires. The current owner is selling because he’s having a child. Can you give me an idea of how serious an accident, or any other information/opinion on the car? I am looking at this car and the seller is motivated. the mileage in the picture is 75k. but i don’t know if that is true or not. the VIN is ————. I saw your post in reddit and also love what you are doing! look forward to your reply, thank you very much. There was damage reported back in 2008, but all that is given is that the damage was to the left front, nothing more. If you wish to proceed I would recommend an inspection unless of course you can get a story and verify it yourself, but that’s more of a gamble. The bigger problem, however, is that there is a mileage inconsistency in the report. (Went from 50k down to 20k). This means that one event was recorded at a certain mileage, and then a later even was recorded showing the vehicle at a lower mileage. That used to be common in older cars with 5 digit odometers but, this shouldn’t happen with a modern vehicle. Being that no other mileage was recorded after the drop to 20k, and that the reporting business was Pep Boys, I would be open to the idea that it was a mistake (5 is right next to 2 on a keyboard number pad), however the last event recorded was the issuing of a duplicate title. When this happens the original title is declared null and void and people have been known to do this as part of certain scams. One particular scam is securing a loan against a car they own. They give a title over to a lender and then the lender finds out the title they have is no good. Is that what’s happening here? Can’t say, I don’t deal in certainties when I’m looking at cars online, I can only say if something is “Flag Worthy”, and this is. Again, I am not saying something is wrong, I am just saying you have some things to check out if you think the car is worth pursuing. I am looking at a 2016 Kia soul vin# ————- and was wondering if Carfax shows anything negative, like any major repairs or accidents. Thanks for the advice. Hi, Hoping you could tell me what you find on a 2012 Prius with VIN # —————. Looking to buy this vehicle, but want to make sure there isn’t a glaring reason not to. Thanks so much! Looking to buy from private party. Vin is ———————. Hey big man, was just wondering if you can look up this Hyundai Sonata 2009 for me? Nice article by the way and it was really informative. I almost paid $40 on some papers. Jeez I might as well get 4 chipotle bowls. :0 I just wanted to know if there is any accidents with the car, the mileage, and how many owners its had. He reports two but who knows maybe he’s lying. Also I’m a little suspicious on the mileage, I wouldn’t be surprised if he rolled the odometer back. 🙁 Thanks for the article! Hello! Thank you so much for doing this. Can you please give me CARFAX details on this vehicle? I’m planning on doing some research before really going ahead. Hello, I’m wanting some more info on this Chevy Colorado ———————–. Please and thank you! Hello, can you please check VIN# —————- please? Thank you! Thank you for this great article..
Hi, Looking for more information on VIN ———————. Carfax says no accidents, however, cargurus says there is an accident reported so not sure why there is a discrepancy. Thanks in advance! Can you check this motorcycle vin? ———————- Thank you very much. Hello, I would like a carfax for VIN ——————–. I want to be sure the information the seller is telling me is somewhat accurate. Can you see the history on this 98 LS 400? ———————- I’m am thinking of purchasing the engine from this car from a local scrapyard and am just interested in any history that may be available on it. Very helpful information. I think we are all brainwashed to believe that carfax will save us from buying something that is not good. Your article makes several good points and I have seen >30 day old reports posted. I bought a 2014 E350 that was a Mercedes CPO in VA that was a dealer demo. It had a clean carfax. I drove it for a week and got the feeling that something was not right with the car. My wife was looking through the owners manual and found a $12,000 repair bill for a crash. The work was done in their collision department and probably was not reported. Probably why it was not on carfax. I returned the car and got a 100% refund (including sales tax and fees). I think they were just glad I did not try to sue them. I am looking at ———— for a summer car. Thankss for writing this article. Am considering it and it would be a long-distance deal so i wanted to check more than just the Auto Check the dealer provided before I might make a special trip to test drive it! Really appreciate it if you might see this this weekend! And happy to leave you a Google +Review. I looking at vin# —————– considering buy it. Can you get me some history on it plz? Well, the first issue I see is that it was initially a rental. Enterprise had it for 2 years and put 36k miles on it. You also then have 3 more owners, so 4 total owners in 7 years, not a good sign. If you still want more good news, it has 3 recalls, but I can’t see if they have been fixed. One is for a fuel tank deformation and the other for a transmission control module, possibly serious stuff. Whoever has it now is the 4th owner and bought the car just last month. They don’t appear to be a dealer so why would someone without a license be flipping a car? I don’t see any damage reported, but that doesn’t mean it didn’t happen and someone fixed it out of pocket. When it comes to this you have to trust your own eyes over these reports. My advice would be to stay away! Hello, I am interested to buy a Mercedes-Benz, Model C300, make 2015. I do really appreciate getting the history of this car and your recommendation. The VIN is —————-. Your prompt reply is highly appreciated. Thanks. Hello. I appreciate the help if you can run this VIN: ———————–. The car is located in another state and I am contemplating flying out and purchasing it. You would be doing be a great favor. Thank you. I have written and posted a Google review earlier today. Hello, Thanks for the awesome info! I was looking for a car located in Calgary, Canada. The VIN no. is:———————. If you could provide me some info on this particular car, that would be of great help. Thanks for your time. Let’s see if this works! Thanks! This is my VIN —————-. Could you please help? hello I am trying to find any past service reports on my car I have now it is a 2004 Lincoln TC Sig Series my VIN is ——————– , I Appreciate It! I am looking to have the report for Vin – ——————–. Appreciate the help.